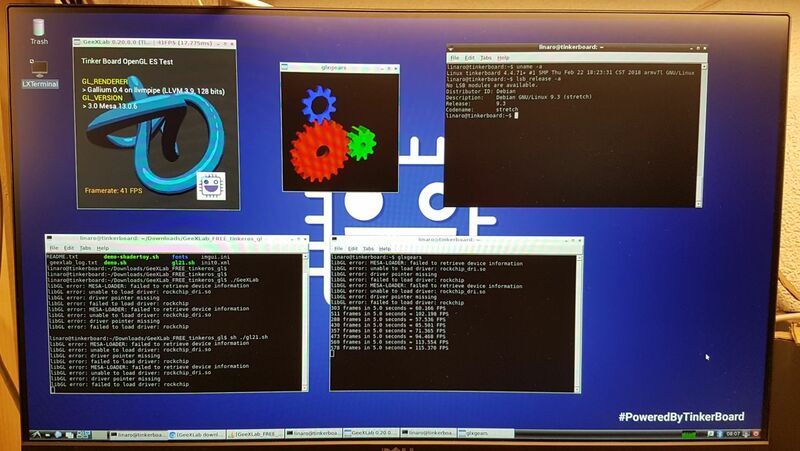 A minor update of GeeXLab has been published. It enables the OpenGL ES 3.1 tessellation on the Tinker Board. I've tried the 0.21.x version for ES and it works without issue but the OpenGL doesn't appear to function. I'm running Official TinkerOS: v2.0.5 dated 2018/02/22 Any help you could provide is appreciated. 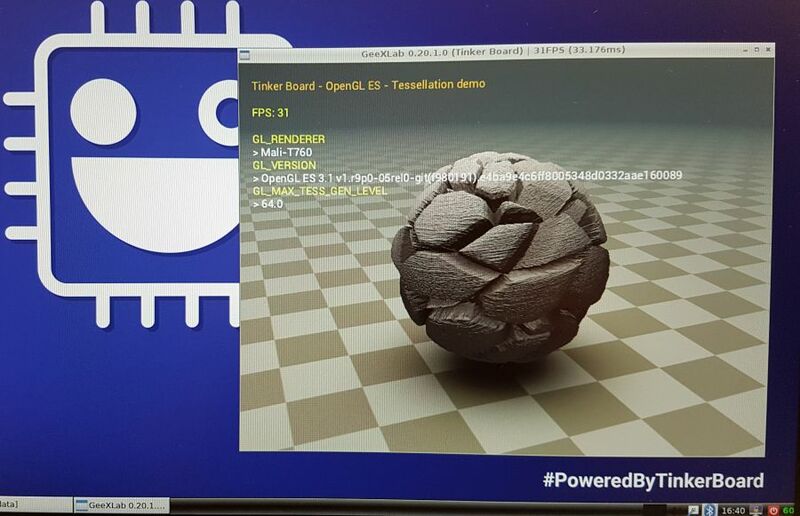 Looks like something has changed in the OpenGL support in the latest Tinker OS 2.0.5. 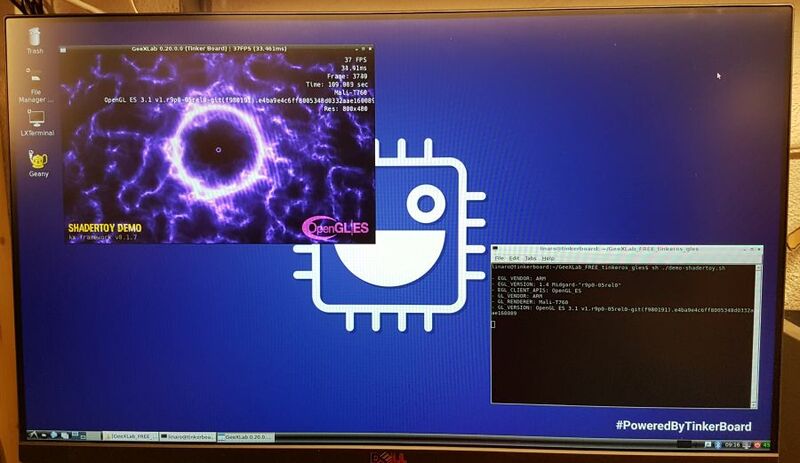 The last time I tested GeeXLab on Tinker OS it was Tinker OS 2.0.4. I will install the new Tinker OS 2.0.5 and I let you know asap. This error message is caused by the userspace application try to use the OpenGL API. On the Tinker Board, only OpenGL ES is hardware accelerated. The regular OpenGL runs in software mode only. So, does the driver indicated in this thread push OpenGL over to OpenGL ES or does it render it in software OpenGL and display through ES? What exactly does this package do? Along these same lines, should I try and see if I can compile my OPenGL application specifically for ES? This is probably the easiest fix if possible to do.